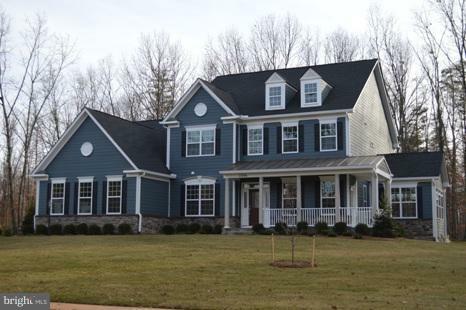 All Nokesville homes currently listed for sale in Nokesville as of 04/25/2019 are shown below. You can change the search criteria at any time by pressing the 'Change Search' button below. If you have any questions or you would like more information about any Nokesville homes for sale or other Nokesville real estate, please contact us and one of our knowledgeable Nokesville REALTORS® would be pleased to assist you. 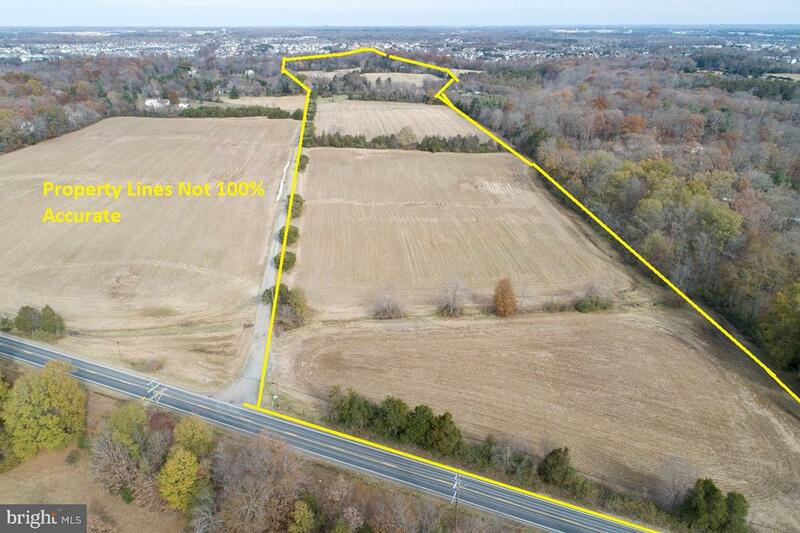 "77 Acres Zoned A-1 at the intersection of Vint Hill Road And Broadlands Lane. 510 ft of frontage on Vint Hill Road and 3,452 of frontage on Broadlands. Mostly fields with some woodlands and Broad Run at the northernmost border. 5,748 sf brick home on property needs work. Comp. plan for semi-rural residential. NOT IN LAND USE. NO ROLL BACK TAXES. Sold AS-IS. 30-90 day study period." "This is an elegant and very private property. Stone and siding on the exterior change to understated refinement on the interior. Main level rooms are beautifully proportioned with tall ceilings, large windows, impressive moldings and excellent views of the 10-acre property. Amenities abound with a washer and dryer on each of the three levels, wine fridge, butler's pantry, a wood burning outdoor fireplace in enclosed porch overlooking the pool. A high efficiency four zone heating/cooling system ensures year around comfort. The kitchen has enough cabinet space and counter space to satisfy the most ambitious cook along with two dishwashers, and an oversized island. There are gas fireplaces in the master bedroom, the truly gorgeous sunroom, and a see-through one dividing the kitchen area from the great room. The list goes on but the idea you want to take away is that this is not just another large house. A thoughtful detail is the full bath and walk-in closet off the extra wide hallway leading to the sunroom that could be readily converted to a full main floor master suite. The upstairs master bedroom has hidden cove lighting and the princess bedroom claims its own sitting room. The attached 2.5 bay garage offers entry into an oversized country utility room. If we move outside, we have the pool, the hot tub, the expansive pool deck, the water feature stream and pool, the garden area and the enormous 3 bay garage with a loft and its own electric service. It is also prepped for its own water and sewer. Be sure to view tour for the full understanding of layoutMoney may not be able to buy happiness but it can buy a property that makes you happy. And if you want horses on that property then this home is for you. Basically perfect." "JUST REDUCED PRICE $15K!!! SELLER FOUND HOME OF CHOICE! BRING YOUR OFFER! A MUST SEE HOUSE LIKE NO OTHER IN THE AREA!! 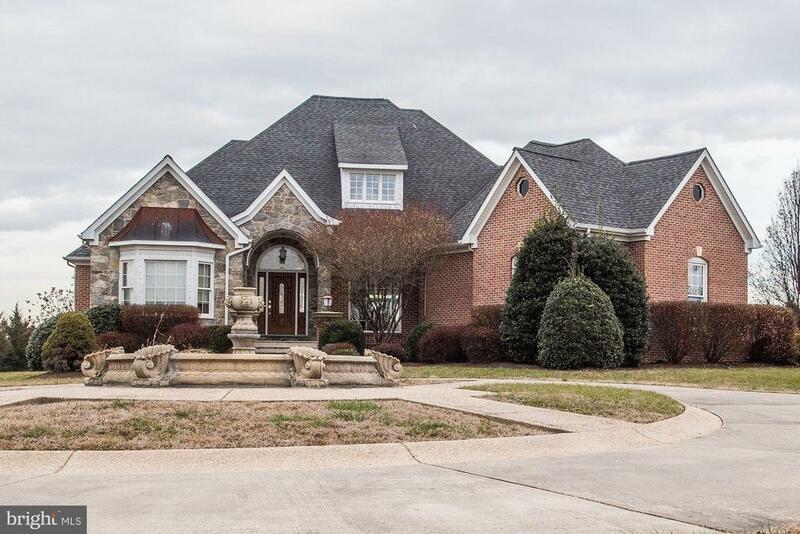 !This palatial home in the Liberty Oaks community is sure to catch your eye. Upon arrival, you're immediately greeted by soaring ceilings, gleaming hardwood floors, and triple crown molding adding to the established elegance of this residence. The gourmet kitchen is a chef's dream come true and features modern appliances, shimmering granite countertops, and an oversized kitchen island. The master bedroom upstairs is nothing short of spectacular, as well, accentuated by tray ceilings, a sitting area, and a massive en-suite bathroom presenting dual vanities, a separate shower, and a soaking tub accompanied by classic Roman columns. The fully-finished basement below offers an ideal area for entertaining company or personal enjoyment. Don't forget the amazing patio out back, too. Private pond with ducks. Attached 3-car garage and a 2nd detached 1-car garage. NO HOA. Above grade 6450 sq ft of awesomeness. 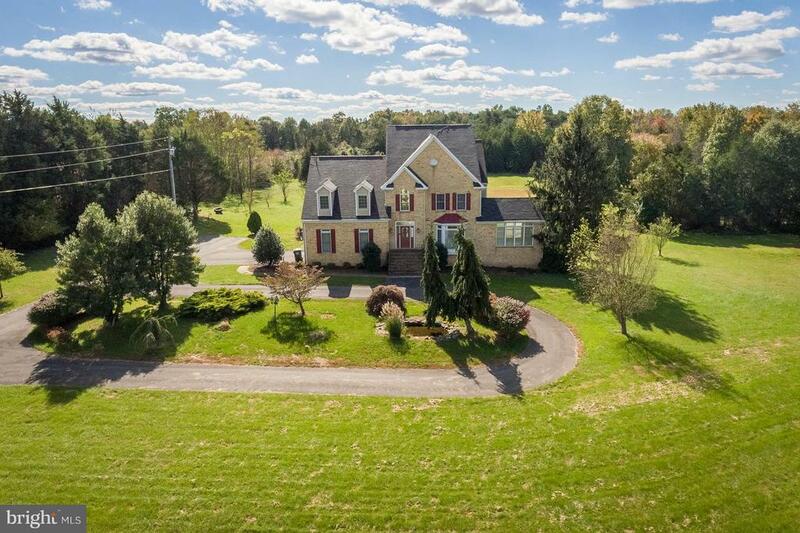 Approximately 2.7 miles to prestigious Colgan High School and 2 miles to Dumfries route 234. 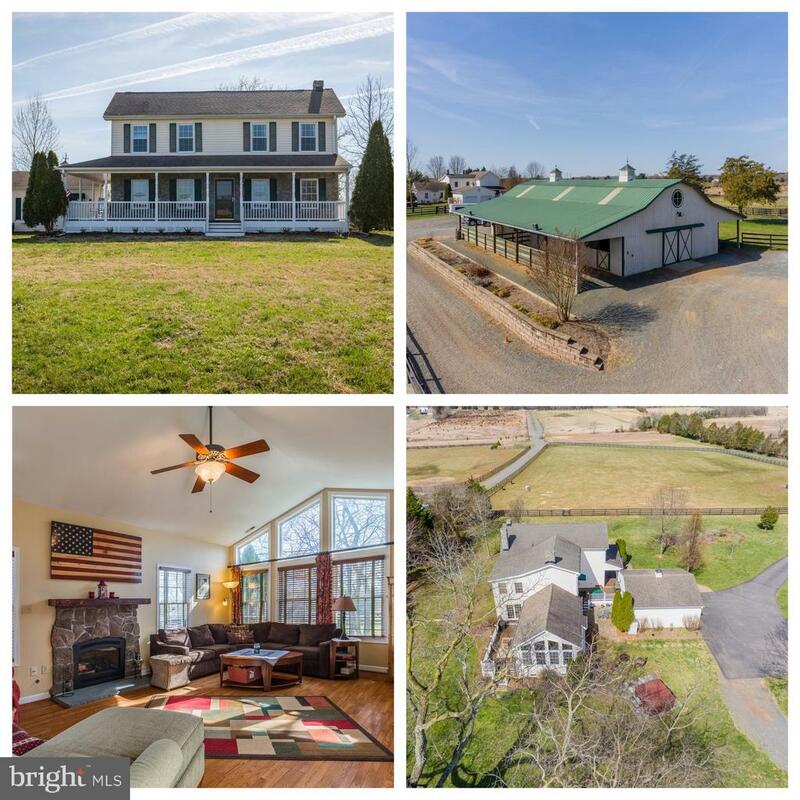 Address is Nokesville but the property is very close to Woodbridge and Manassas." "Absolutely Fabulous & Immaculate! 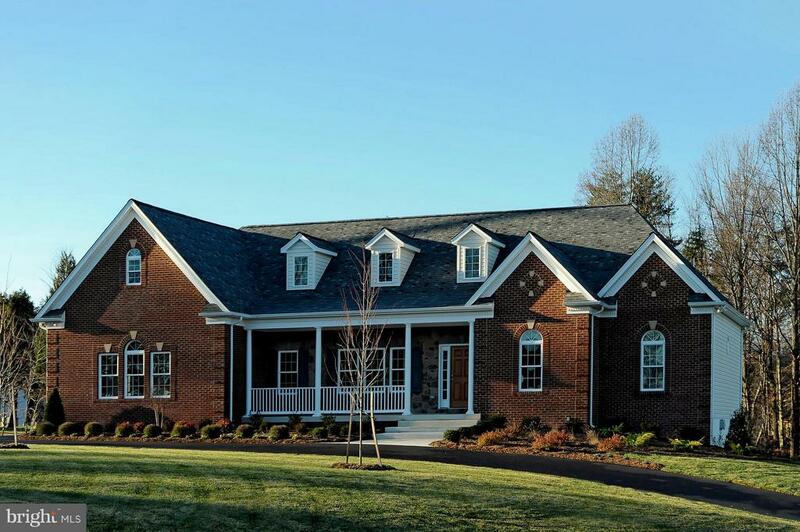 Custom built by Stonehill Builders, a local residential builder in Haymarket. 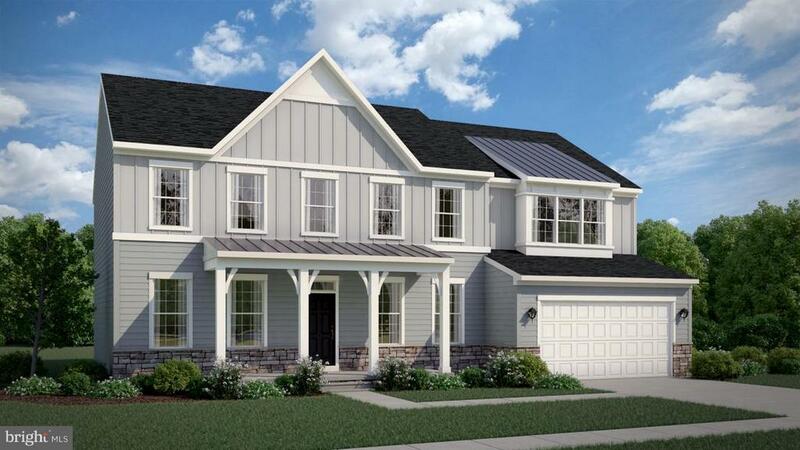 The Marquette model features almost 6,700 finished square feet on three finished levels. 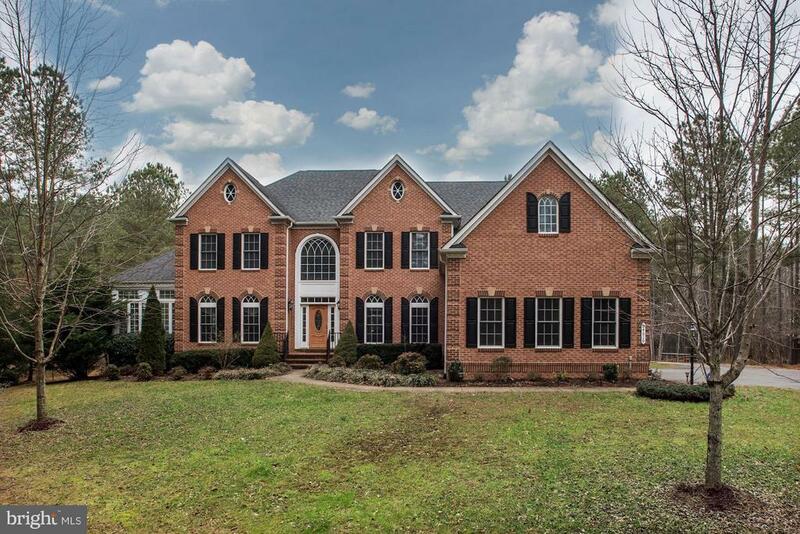 A majestic brick front and plush landscaping is an upscale feature to the home in Old Church Estates. This home features 5 Wood Plank Floors on the Main Level. A Contemporary open floor plan for today~s must-have Buyers! The formal Dining and Living Room as well as the foyer are areas that invite you in as you enter the home. Each area of the home has new upscale lighting fixtures. The Side Conservatory has ~Walls of Windows~ and overlooks acres of Garden and Mountain Views. The Family Room offers a wonderful space to relax with a River Stone Hearth Gas Fireplace, Contemporary Ceiling Fan and Recessed Lighting. Talk about a Kitchen that over the top! This kitchen is truly a Chef~s Dream! Everyone will love the Upgraded Cream Cabinets, the huge Center Island, Stainless Steel Appliances as well as custom pendants and recessed lighting. Off the Kitchen is an Eat-In Area or Sun Room; great for informal meals. Walk to the rear deck, leading stairs down to the rear yard. The Upper Level has 5 Huge Bedrooms, each with Private Bath access. Owners Suite has Trey Ceilings, Ceiling Fan, a super Large Walk-In Closet plus a Bonus/Sitting Room- great for reading or watching television. All feature ceiling fans, upscale carpet and super large closets. The Lower Level was just installed with new LVP Flooring plus more new custom & recessed lighting, full sun windows, walk up stairs to rear yard. The designer built Bar/Kitchenette is wonderful for entertaining! The Rec Room features an entertainment area, a large and legal 6th Bedroom and Custom Full Bath with roll in shower. There is a chair rail lift, which can or cannot convey with the home. There is plenty of storage on this level as well. 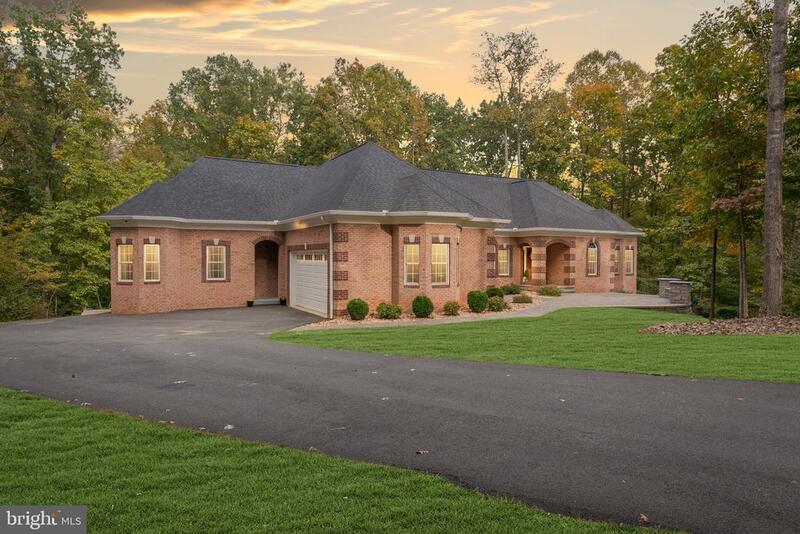 The Salt Water Pool and Cabana; complete with an Electric Toilet, will be wher"
"Stunning home situated on 10 acres located in a private equestrian community in Nokesville, VA. 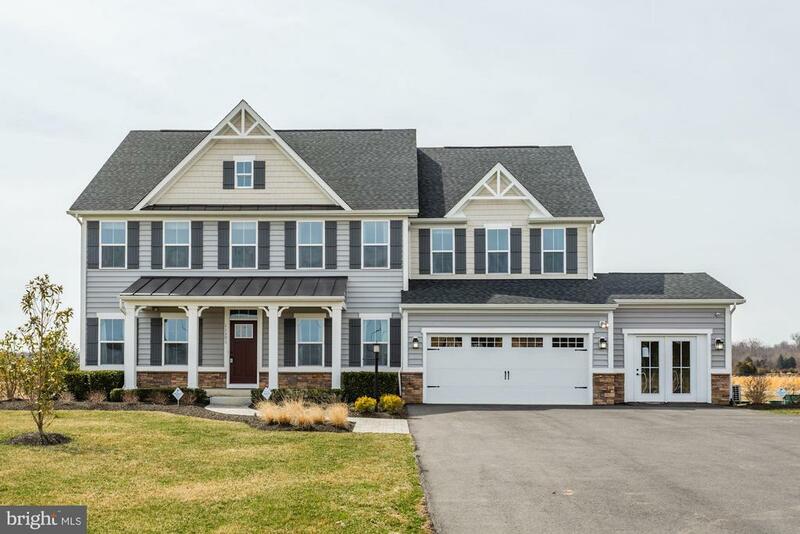 Custom home offers over 7,500 square feet with gorgeous double curved oak stair case, 4 bedrooms, 4 full baths, 2 half baths, finished walk-out basement with theater room, exercise room, bar and attached three car garage. 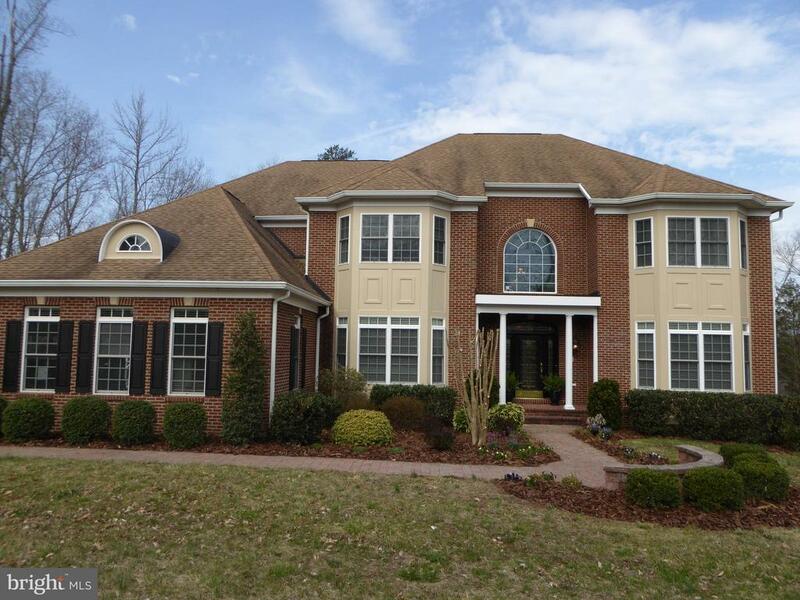 Centrally located in Prince William County between 66 and 95 and minutes from Manassas Airport. This is an agricultural use property that features a fully fenced in 81/2 acres with a 4 stall concrete aisle barn with electricity and running water. Community offers two miles of riding trails, riding ring and storage area for hay.This is a must see property. Owners will consider all reasonable offers. Make an appointment today." "Welcome to your dream home! 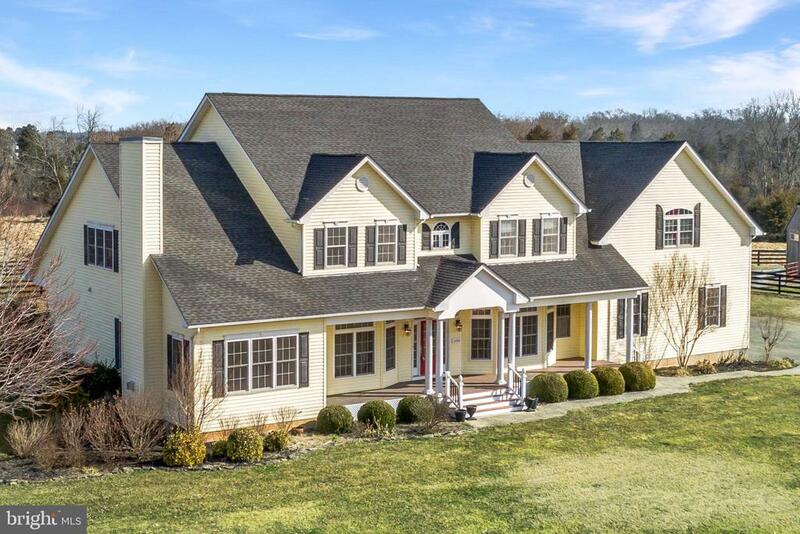 This custom built, 4 bedroom 4.5 bath home boasts over 5,200 square feet and is nestled on a lovely 10 acre lot. Upon entering the home you will see just how bright and inviting the modern open floor plan is. The mahogany hardwood floors and 9 foot high ceilings pair perfectly with the large windows throughout the main floor and provide you with views of the serene property which is perfect for relaxing by the fireplace in the cozy living room. And if you need more sunlight, step into the beautiful sunroom and savor your morning coffee with nature's own vitamin D. Enjoy cooking and entertaining in your luxurious kitchen which includes GE appliances, wall double ovens, ceramic tile flooring, glass tile backsplash, recess lighting, pendant lighting, pantry with custom shelving, self-closing cabinets and drawers, and large island. This home has custom upgrades galore! Each level has 9 foot high ceilings. Each bedroom has its own walk in closet AND en-suite bathroom to ensure everyone has plenty of space and privacy. Other custom items and upgrades include: Custom handrails, custom columns inside, custom gas fireplace with Stone Veneer, custom shelving in mud room and Master bedroom closet, upgraded contemporary crown molding and upgraded trim throughout, office with glass doors, internet connection in all rooms, 3 car garage with 2 automatic doors (one 16 ft by 8ft and one 9 ft by 8 ft), Hydroseed grass for healthy green grass, and many more! 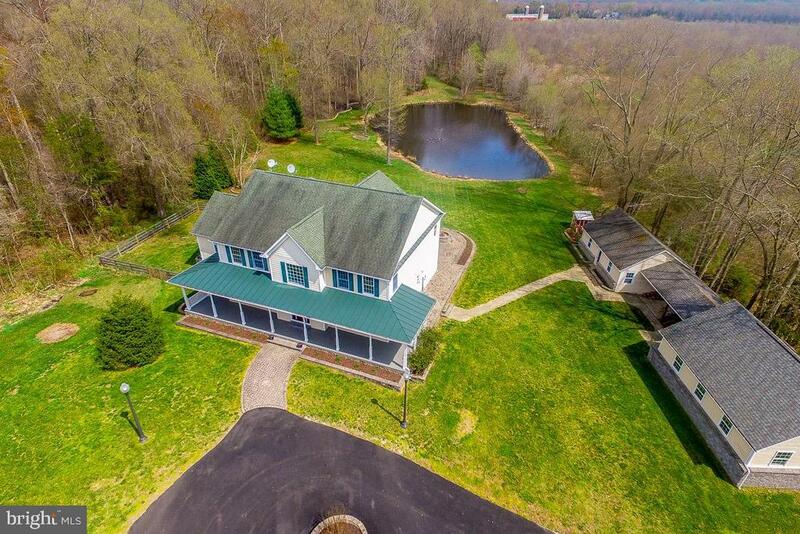 With 10 acres of property, this home offers a great balance of privacy with the convenience of easy access to commuter routes including I-95 and I-66." "FABULOUS EXECUTIVE HOME APPROX. 9000 SQ FT. FRESHLY PAINTED INTERIOR, NEW SHUTTERS, BEAUTIFULLY LANDSCAPED FOR THAT WELCOME HOME FEEL WHEN YOU ENTER THE PROPERTY. THE HOUSE IS LOCATED ON A SCENIC. 10 ACRE CUL-DE-SAC LOT THAT IS IN AN EQUESTRIAN COMMUNITY WITH ALL THE PRIVACY ONE COULD ASK FOR. VIEWS OF THE ROLLING LANDSCAPE FROM EACH ROOM OF THE HOUSE. THERE IS A NEW SIDE DECK FOR EASY ACCESS TO THE MUD ROOM AND OVERSIZED 3 CAR GARAGE. INSIDE, THE HOUSE HAS AN OPEN FLOOR PLAN WITH GLEAMING HARDWOOD FLOORS, CURVED STAIRCASE & A MAIN FLOOR BEDROOM/OFFICE AND FULL BATH, HUGE LAUNDRY ROOM, KITCHEN HAS GRANITE COUNTERS, NEW GLASS TILE BACK SPLASH, CHERRY CABINETS, STAINLESS STEEL APPLIANCES & PROFESSIONAL SIZE GAS COOKTOP, LOTS OF COUNTER SPACE BUTLERS PANTRY, AND A LARGE BREAKFAST ROOM. EVERYTHING YOU COULD WANT IN A CHEF'S KITCHEN. PROCEED ON TO BE IMPRESSED WITH ALL OF THE INTERIOR DESIGN FEATURES. LUSH LIGHT FILLED ROOMS THAT ARE BEGGING TO BE DECORATED AND LIVED IN. ALL 3 LEVELS OFFERS A TREAT FOR EACH ONE IN THE FAMILY. LOWER LEVEL WITH LARGE WET BAR, MEDIA ROOM AND WALKOUT TO NEW BRICK PATIO. THE BUYERS OF THIS HOME WILL HAVE A 3 HOUR CONSULTATION WITH INTERIOR DESIGNER, MONICA MILLS OF BLUE HORSE DESIGN SOLUTIONSTO HELP WITH ALL OF THE PERSONAL DESIGN DECISIONS. www.bluehorsedesignsolutions.com"
"Amazing Colonial Home For Sale Located within the Effingham Farms Subdivision which is home to the Effingham Winery. This home boast nearly 8,000 square feet of glamorous finished space located on over 10 acres of land that includes a 4-stall horse barn, run-in shed, horse arena, in-ground pool, in-ground hot-tub, and plenty of back-yard space. Must see property! 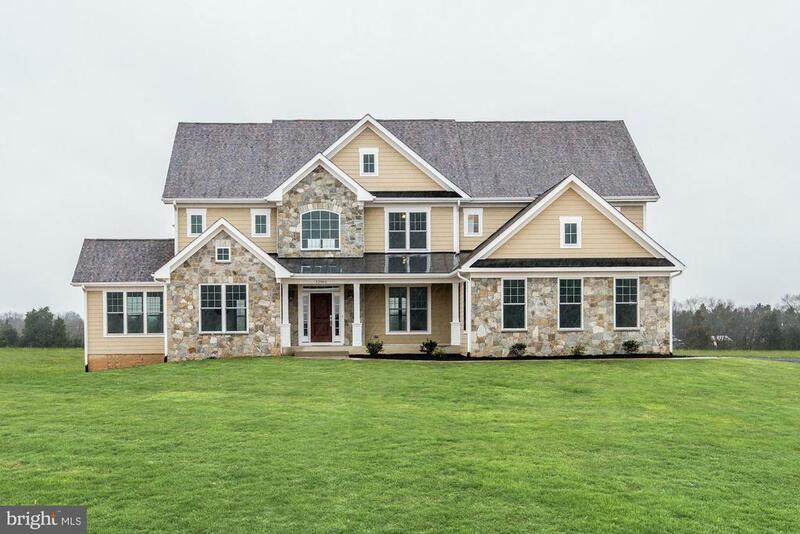 Close to the VRE and D.C."
"This 5,263 square foot (on the main 2 levels) custom built, and designed home is sure to amaze. /// The entire house has been wired for sound, network and video cables. /// It is also equipped with business class high-speed internet which includes back-up connection. It is extremely fast for those that will work from home or want strong Wi-Fi. /// Come up the stamped concrete walkway and onto the Brazilian cherry decking front porch. Enter into the grand foyer with marble flooring. Spacious and bright for greeting guests. To your right is a large beautiful dining room with stenciled walls designed to look like wallpaper. To your left is the stair hall/sitting area that allows you to gaze up through the winding staircase to the second floor. Beyond the stair hall is a very large formal living room with a gas fireplace, built-in bookcase and lots of windows. /// The first floor also has two half bathrooms located at either end of the home. One is connected to a large mudroom perfect for coats, boots and bookbags to be stored out of sight. The main hallway in the home is 6 and a half feet wide creating a natural gallery for artwork and family photos. It also contains a set of back stairs to quickly access the master bedroom. The 17 x 27 family room has an oversized fieldstone fireplace flanked by two French doors and lovely paneled walls. /// Upon entering the kitchen, you will quickly notice more cabinets than you know what to do with. A large two-level center island contains the sink and dishwasher and allows you to look out into the back fields. This beautiful kitchen has been designed with custom maple cabinetry, pro series appliances and quartz countertops. Large pantry and a separate small work office complete the kitchen. /// The office is an amazing space with custom cherry built-ins and paneled walls creating a true masculine escape. The custom-made cabinets open to provide workspace, filing cabinets computer space and shelving. There is also plen"
"BEAUTIFUL CUSTOM FRENCH COLONIAL ON VERY PRIVATE 10 ACRE TREED LOT WITH MEANDERING STREAM! MOSTLY HARDWOODS, TRAVERTINE AND TILE THROUGHOUT! GOURMET APPLIANCES, GRANITE IN KITCHEN & BATHS! VAULTED AND TRAY CEILINGS, WET BAR, LARGE MUDROOM, LIBRARY, HIGH END APPOINTMENTS AND FINISHES, COVERED PORCH, PATIO AND 3 CAR GARAGE! GORGEOUS VIEWS ALL YEAR LONG!" "Former model home for sale on 11+/- acres in Colvin Farms. 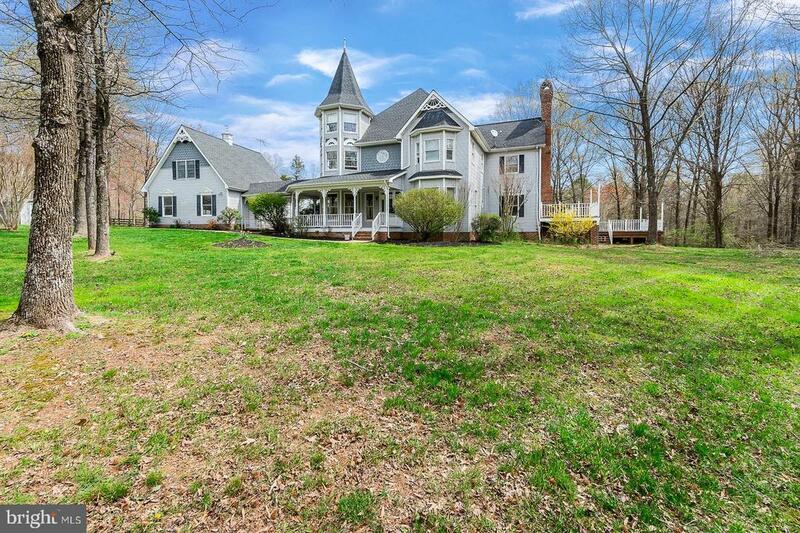 A picturesque piece of property just 10 minutes from shopping, dining, major roadways and VRE. This spacious Normandy floor plan sits on a beautiful corner lot. Numerous model home upgrades throughout. Freshly painted. Main level bedroom with adjacent full bath. Finished basement features a remarkable media room. Phenomenal stone patio perfect for barbequing and entertaining. This home is move-in ready!" "Private & Stunning!! Custom built one level living home with huge finished basement on 10 acres, Open floor plan, Beautiful Kitchen, Granite Counter Tops & Crown Molding, Theater Room, Bar, Entertainment area, Expansive backyard surrounded by welcoming patios, fenced in vegetable garden, concrete Fence-No Maintenace, and 5 car garage. Whole House Generator!!" "The Carson offers traditional style living with a contemporary feel. From the expansive family gathering area to the kitchen, this home is perfect for your family to relax after the day~s activities or entertain in style. The casual eating area next to the family room offers an easy transition to relaxing after a family dinner or game night with friends. Tucked away between the kitchen and dining room is space for an optional butler~s pantry or your own piece of furniture, a perfect companion to the dining room. The generously sized pantry is steps away from the kitchen and, while hidden from view, is convenient for all of the chefs in your home. Entering the home from the garage through the family foyer, the mud room offers easy access for the whole family. The main level also features a living room/library and a study that can be converted to a guest room with a full bath. There are options for a family room extension and morning room extension. Upstairs, the Owner~s bedroom with luxurious bathroom, ample closet space and sitting room is a quiet getaway from the other bedroom that is accessed through the loft. Three additional bedrooms and two baths, along with the laundry room finish the upper level. The lower level can be finished to include a recreation room, a media room, a den and full bath. This home comes with a two car front load garage, with options for a side load garage and also 3 car garage." "WOW!! Do you want to board horses? This is the property for you! Amazing 9 stall barn was built in 2006. 10.5 acres. 3 subdivided pastures with two run in sheds. HUGE 70X36 Barn with 7 inside stalls, including a foaling stall and 2 outside stalls. Hot and Cold wash area, tack room complete with feed bin, racks and shelving. 12-foot concrete wide isle. HUGE bale storage space above. Lighted riding ring. Space for parking horse trailer. Currently 5 boarders that are willing to stay with the new owner. House says built in 1910 BUT it was completely renovated in 2003. Very large kitchen with huge island. Viking range and all stainless-steel appliances. Huge family room with beautiful windows. Walk out to back private deck. New sliding glass doors in both family room and dining room. Main level den/office could also be a bedroom. It has en-suite to full bathroom on main level. Walk upstairs and you are greeted with very large bedrooms. All bathrooms have been recently updated. Attic stairs to fantastic storage space. Underground level cellar that is perfect storage space. Door to cellar is inside and very easily accessible. Outside has wrap around porch with new composite decking, hot tub in the back and detached 2 car garage. Whole house generator serviced twice a year. 2 acres of invisible fence for the dogs. So much here you must come see it for yourself. Schedule your tour today!!" "WOW!! Do you want to board horses? This is the property for you! Amazing 9 stall barn was built in 2006. 10.5 acres. 3 subdivided pastures with two run in sheds. HUGE 70X36 Barn with 7 inside stalls, including a foaling stall and 2 outside stalls. Hot and Cold wash area, tack room complete with feed bin, racks and shelving. 12-foot concrete wide isle. HUGE bale storage space above. Lighted riding ring. Space for parking horse trailer. House says built in 1910 BUT it was completely renovated in 2003. Very large kitchen with huge island. Viking range and all stainless-steel appliances. Huge family room with beautiful windows. Walk out to back private deck. New sliding glass doors in both family room and dining room. Main level den/office could also be a bedroom. It has en-suite to full bathroom on main level. Walk upstairs and you are greeted with very large bedrooms. All bathrooms have been recently updated. Attic stairs to fantastic storage space. Underground level cellar that is perfect storage space. Door to cellar is inside and very easily accessible. Outside has wrap around porch with new composite decking, hot tub in the back and detached 2 car garage. Whole house generator serviced twice a year. 2 acres of invisible fence for the dogs. New heat pump 2010, new well pump 2011. Great commuter location. Only 15 minutes to VRE. Also within 15 minutes to shopping and restaurants. Easy access to I66. So much here you must come see it for yourself. Schedule your tour today!!" "**Owner has an assumable VA loan at 3.25%. Call listing agent for more details**Stunning custom brick front ranch style home with a full basement and detached office or Au Pair/ In- law suite on a very private lot. 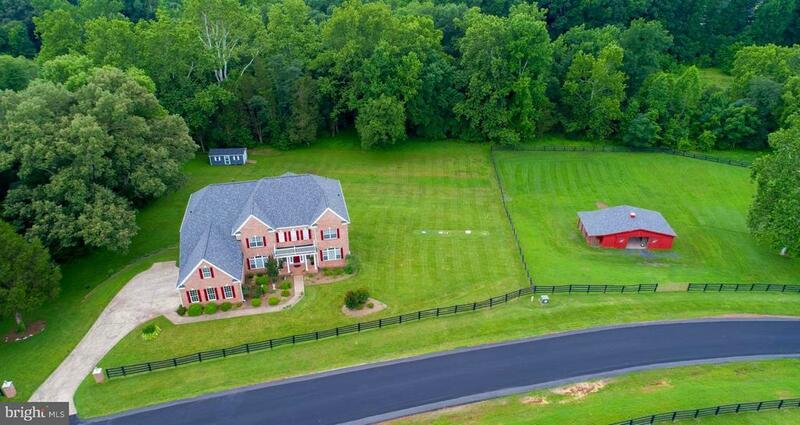 This amazing estate sits on 10 acres surrounded by another 7+ acres that will not be built on! Main house has 4 bedrooms including a large master suite with huge walk in closet, deluxe master bath with soaking tub, separate shower, toilet closet, and double sink vanities. Main level has two other secondary bedrooms that share a Jack and Jill bathroom that are on the opposite side of the master suite. Laundry room/ mud room on main level. Main living area is very elegant with hardwood floors, gourmet kitchen, recessed lighting, crown and picture box moldings throughout. Main level has a front office with glass french doors and a window that looks out at the front of the house/ driveway. Large gourmet kitchen with upgraded cabinetry, granite counters, gas 6 burner stove, double oven, large pantry and huge picture window to look out on your tranquil estate. Gas log fireplace in the living room. Light and bright house with designer paint throughout. Home boasts a cozy lower level that has a large 4th bedroom with walk in closet and attached full bathroom. Lower level has beautiful wood grain tile flooring, walk out to patio and rear yard. Full windows on the back of the home, and french doors walk out to rear yard. Partially finished large recreation room with great potential for theatre room and gaming area in this large space. Recreation room for new owner to finish and complete the design to your own taste. There is a separate storage room and utility room in the basement that holds a large safe and security system - both convey. For the unfinished space in the lower level there are permits on file with the county, drywall and electrical complete. 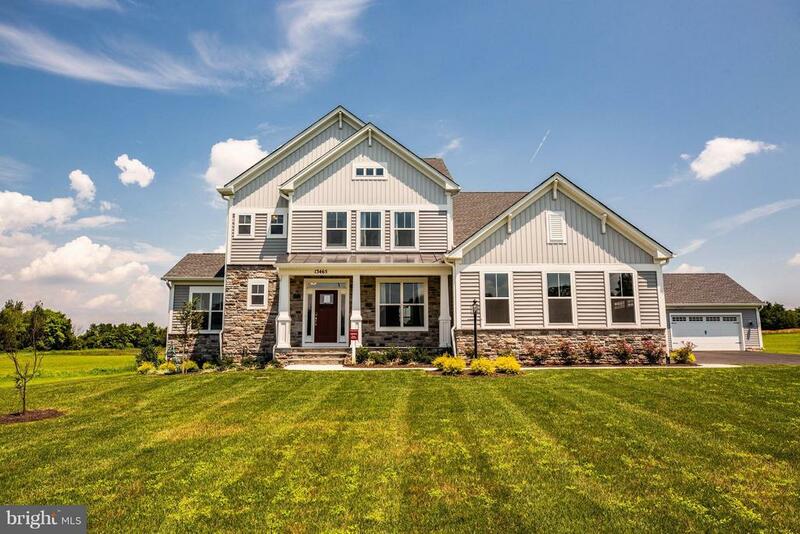 Home comes with a whole house generator that can be seen on the right "
"AMAZING CUSTOM HOME W/OVER 7500 SF AND FEATURING FABULOUS WRAPAROUND PORCH ON B-R-E-A-T-H-T-A-K-I-N-G 10-ACRE LOT!! ***4/6 BEDROOMS ON 3 FINISHED LEVELS WITH OVERSIZED ROOMS THROUGHOUT***STUNNING VIEWS ABOUND, FROM YOUR SPECTACULAR POND STOCKED FOR FISHING, TO YOUR PRIVATE PARADISE BACKING TO 370 ACRES OF WILDLIFE PRESERVE***GORGEOUS OPEN FLOORPLAN EXUDES GRACIOUS COMFORT AT EVERY TURN, FROM YOUR GOURMET KITCHEN WITH BREAKFAST BAR, TO YOUR HUGE GREAT ROOM, TO YOUR SITTING ROOM OVERLOOKING YOUR CUSTOM PATIO AND FIREPIT ADJACENT TO THE POND, TO YOUR MASSIVE OWNERS' SUITE, TO YOUR SPANSIVE LOWER LEVEL WITH WET BAR AND MASSIVE FAMILY ROOM, AND SO ON*** COUNTLESS RECENT UPGRADES INCLUDING NEW TOP OF THE LINE SS APPLIANCES AND WASHER/DRYER, NEW PLUSH CARPETING, NEW CUSTOM/NEUTRAL PAINT THROUGHOUT ENTIRE INTERIOR AND FRONT PORCH, NEW UPPER LEVEL HVAC UNIT (SECONDARY UNIT REPLACED WITHIN LAST FEW YEARS AS WELL), NEW SHOWER DOORS, NEW POND FOUNTAIN, NEW FENCING AT FRONT OF HOME AND SIDE YARD, NEW WINDOWS AND FRAMES IN GYM OUTBUILDING, NEW SIDING AND WINDOWS IN OUTDOOR SHED/STORAGE BUILDING, BRAND NEW $25K ASPHALT DRIVEWAY, INGROUND PROFESSIONAL BASKETBALL HOOP***COMCAST GIGABIT INTERNET ACCESS BROUGHT IN TO PROVIDE THE HIGHEST STANDARD OF PERFORMANCE***OUTBUILDINGS INCLUDE HUGE GYM/WORKOUT FACILITY, LARGE STORAGE BUILDING/SHED, CHICKEN COOP, AND MORE***LOOK NO FURTHER....PARADISE FOUND!!!" "TO BE BUILT BY 3 TIME BUILDER OF THE YEAR, CLASSIC CONCEPT BUILDERS***GORGEOUS OPEN FLOOR PLANS**FANTASTIC FEATURES W/OPPORTUNITY TO CUSTOMIZE***9' FOOT CEILINGS, UNIQUE ENERGY EFFICIENCY PACKAGES, GRANITE, HARDWOODS, FIREPLACE, SILENT FLOOR JOISTS & MUCH MORE***BEAUTIFUL PRIVATE 10.15 ACRE LOT***COLGAN HIGH SCHOOL***THE LOT PREMIUM FOR THIS LOT IS $10K OVER BASE LISTING PRICE. LOT PREMIUMS VARY BY LOT IN LIBERTY OAKS"
"Beautiful country estate 5br/5.5ba overlooking 10 acres. Spacious great room which views the enormous deck and swimming pool. Off of dinning room a sun room overlooking the country side. Up the curved stairs to landing, with 4 w/w carpet bedrooms. Circle driveway with oversize garage. This home will not last, Priced to sell." 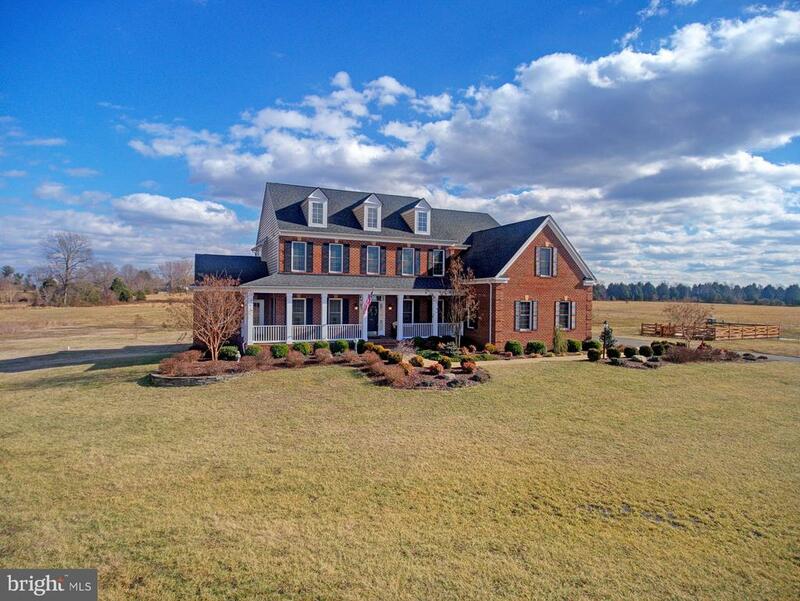 "One of a kind, Victorian Estate, nestled in the beautiful countryside of Nokesville. You can't find anything like this gorgeous & unique property in our area. 10 green, open and treed acres partially fenced in several paddocks with 4 board fencing. Huge multi-tiered deck with sunken hot-tub is perfect for entertaining! Front porch overlooking your private front yard and long private driveway is perfect for your rocking chair and a glass of lemonade. These exclusive hardwood floors are over 100 years old, repurposed from a farm in Culpeper. They are stunning. The custom draperies in the living room and dining rooms convey! The gorgeous chandeliers in main hall entrance and formal dining room convey too! The large & bright sunroom overlooks the back deck and yard so you can watch the kiddos playing on the playset that also conveys. The sunroom has an additional wall unit/slim jim to give you a boost in heating and air-conditioning all year round for additional comfort without relying on the main house's system. The family room has a wood-burning fireplace with a wood stove insert that conveys. Most rooms have ceiling fans for your extra comfort. The gourmet kitchen was completed remodeled and has extra tall cabinets, granite countertops, a breakfast nook/table space as well as a double wall oven and gas cooktop on the island. The office/study in the front of the house is surrounded by big windows allowing you to see your front deck/porch and large front yard & driveway. On the 2nd floor you'll find the Master Bedroom Suite with huge Master Bathroom that has dual vanities, separate shower and oversized jacuzzi tub and a walk-in closet. There are 3 more bedrooms on this floor bedrooms 2 & 3 with Jack & Jill & the 4th bedroom with its own en-suite. On the 3rd floor you will find the 2nd Master Suite with unique, round sitting area in the Tourette and huge bedroom with lots of closet space, storage areas that lead to the floored attic areas as well as a full bathroom. The"
"The Emerson offers an open plan living area, perfect for family gatherings or entertaining. With Architectural features on the Exterior and Interior that truly offer a distinctive look, the Emerson is available in Three styles, Eastern Seaboard, Craftsman or Federal.The Executive style Kitchen opens to a casual eating area and Great Room with three large windows which fill the room with light. Tucked away between the Kitchen and Dining Room is space for the Optional Pocket Office, offering a place to organize the family calendar and catch up on correspondence. The main level also features a Home Office or Crafts Room, perfect for keeping the family's projects all in one space. Upstairs, the Master Suite features two large walk in closets and a luxury bath, complete with an oversized walk in shower. Three other bedrooms are on the second level, one with its own private bath. The lower level can be finished to include a Recreation Room, a Wet Bar, a Den and a Full Bath. 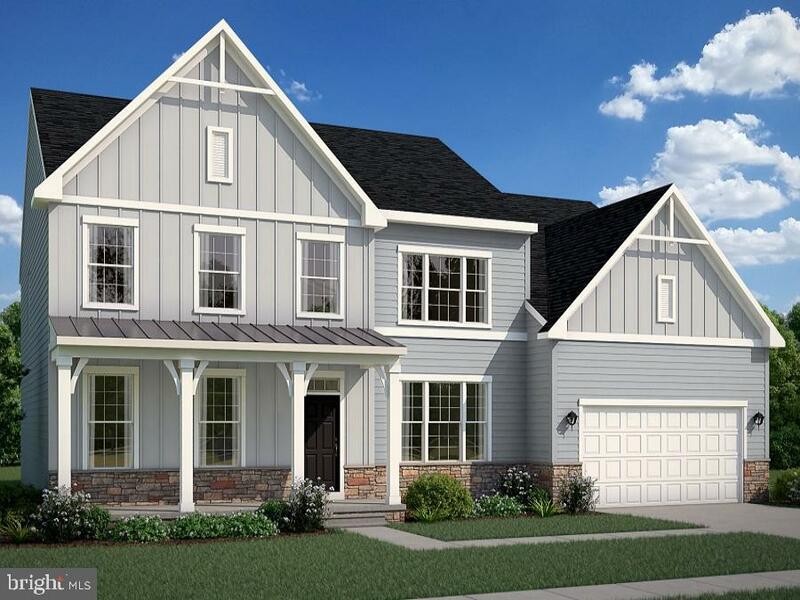 This home starts at just over 3400 square feet.Please note that renderings and photos shown may feature optional features that are not included in the base house"
"The Lewis starts at 3316 square feet.The Lewis offers a distinctive feel to a traditional home. As you enter the foyer, the dining room and study/flex space give you the opportunity to greet your guests with a formal style or a more casual gathering space. The study/flex space can be converted to a guest space complete with a full bathroom. The family room, breakfast area and kitchen are open and encourage your family to gather together after a day away. The oversized island is perfect for meal prep or a quick cup of coffee. The large pantry, which is behind the kitchen is mere steps from the prep area. The owner~s entrance from the garage features a closet and an area that can be used for extra storage for backpacks, shoes or even a dog bed or two. Upstairs, the owner~s bedroom includes a large shower, two vanities, linen closet and generously sized closet. Three additional bedrooms, a loft ,laundry room and bath complete the upstairs. In the lower level, you can finish the recreation room, a full bath, a den and a fitness/hobby. Please note that renderings and photos shown may feature optional features that are not included in the base house. Home designs, features and prices are subject to change without notice. Please see Community Sales Manager for more details." "Experience a grand 2-story foyer with dramatic vistas of the formal living and dining room, as well as a stunning sight line all of the way back to the family room, with expansive windows. The gourmet kitchen features a center island and a room-sized breakfast area. You will even find a private study near the family foyer, leading to the laundry room and large walk-in pantry." "This home allows flexibility for any lifestyle...offering four bedrooms and 3 1/2 baths is just the beginning! The main level is well-designed with a living room/library, dining room and master suite. The kitchen in the Raleigh II is the heart of the home, with an included gourmet layout, expansive islande with seating area and breakfast nook."